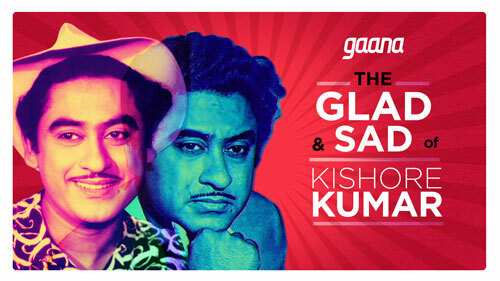 Gaana celebrated Kishore Kumar’s 88th Birth Anniversary with a special challenge! 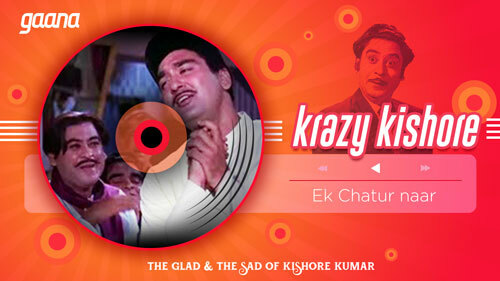 4 August marks the birth anniversary of legendary singer and actor of Indian cinema Kishore Kumar. 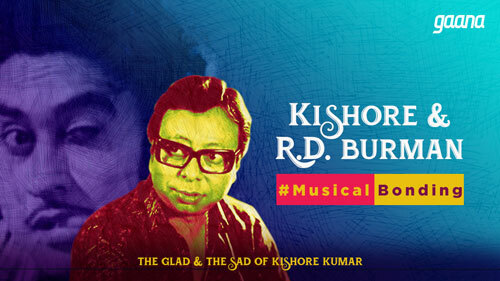 Popularly known as “Kishore da”, the iconic singer gave a musical meaning to all human emotions and has turned evergreen for generations. 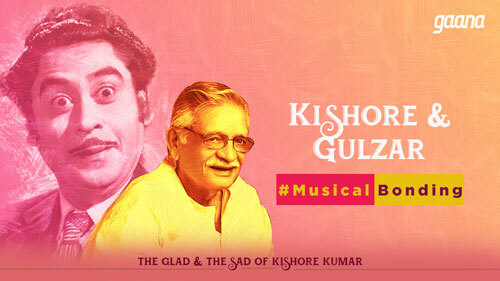 It was time to commemorate Kishore Kumar for his immense contribution to Indian music. 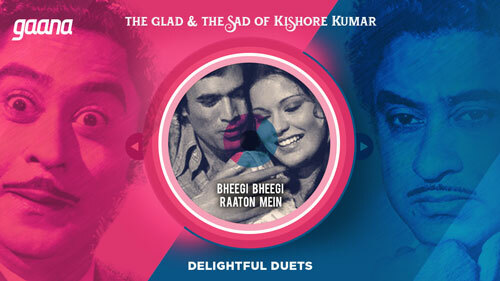 He could emote happiness as well imbibe sadness with his songs. It was time to remember! 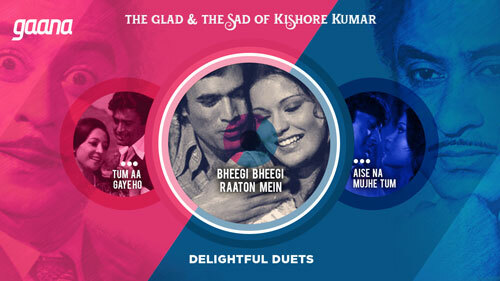 Gaana launched ‘The Glad & Sad of Kishore Kumar’ – a fitting tribute to the legend. 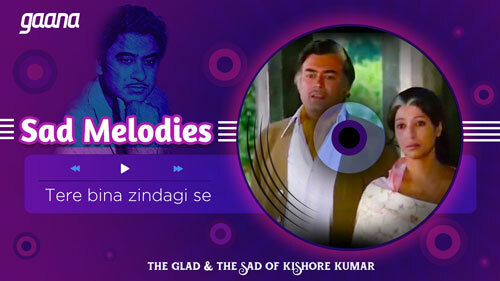 Kishore Kumar’s yodelling skills will perhaps remain unmatched forever. 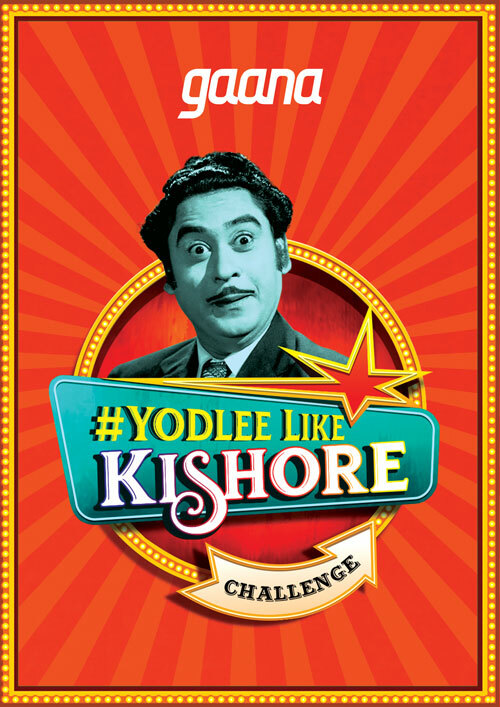 Gaana took 'The Glad' aspect of the campaign ahead and launched the #YodleeLikeKishore Challenge. 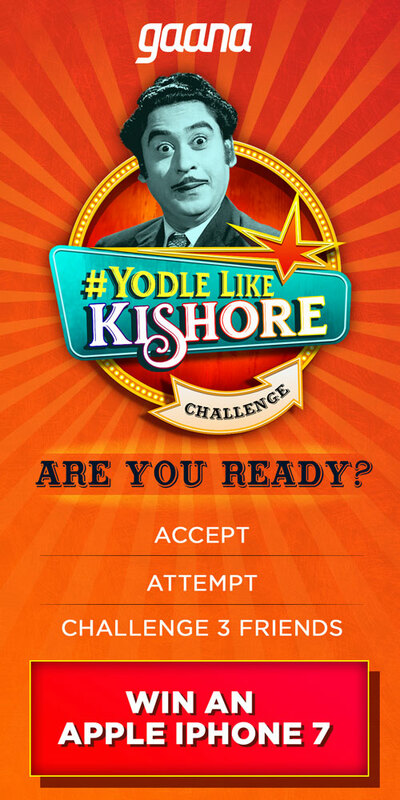 The brand went all-out to challenge artists like Shaan, Armaan Malik, Darshan Rawal, Shivani Kashyap and more to #YodleeLikeKishore which they gladly accepted and went a further notch to challenge their friends in turn. The challenge trended on Twitter for 10 hours and garnered over 50 million impressions on Social Media.